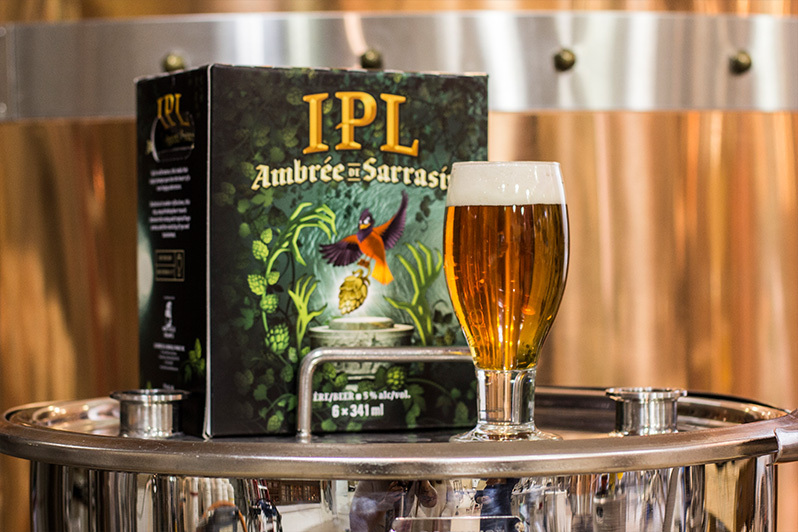 Wild and virile, this India Pale Lager plunges you into the heart of a new hopped adventure. Decked with amber reflections, this richly flavored beer travels between its resinous and tropical hops and the rusticity of rye and buckwheat. 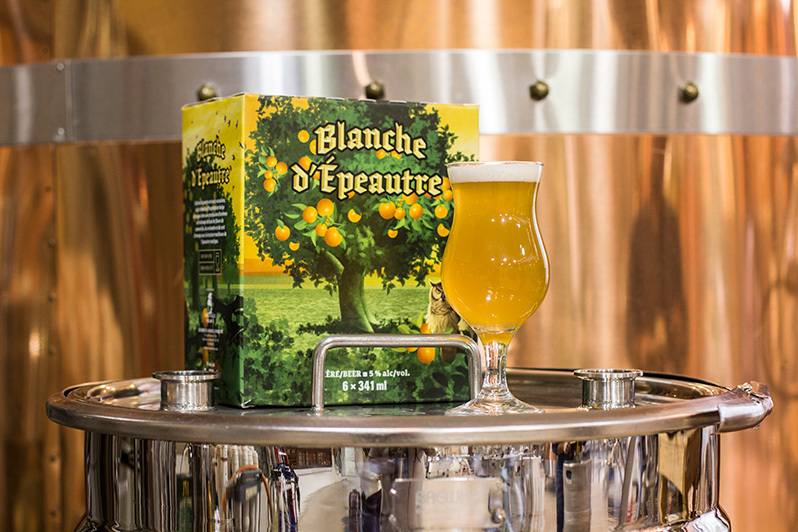 Refreshing in any occasion, this Belgian-inspired white beer combines in a profusion of aromas a delicate blend of chamomile, coriander and orange zest with the mellow texture of rustic spelled. With fish accompanied by a slightly lemony sauce or with a pan of mussels. Let yourself be lulled by the nobility of the Czech hops and their delicate bitterness, then by the crisp cereals of our Bohemian Pilsner. 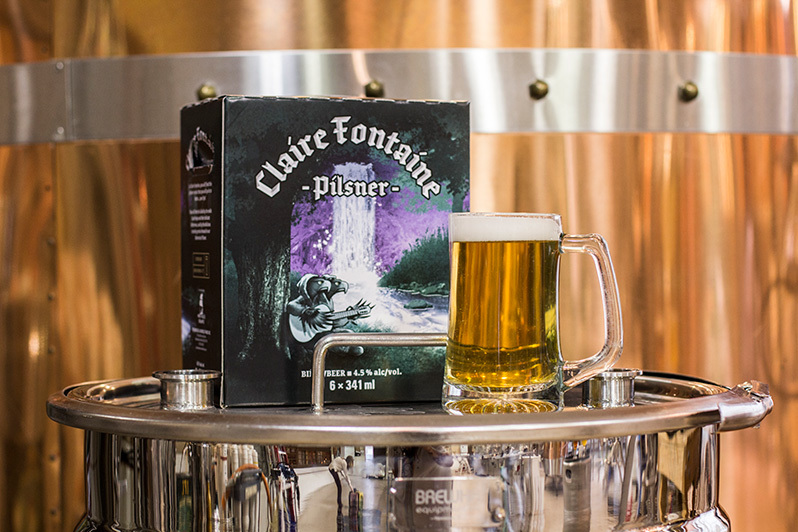 This light blond beer will accompany to perfection a fresh salad tasting in the sun or a poultry recipe at noon of a big day. 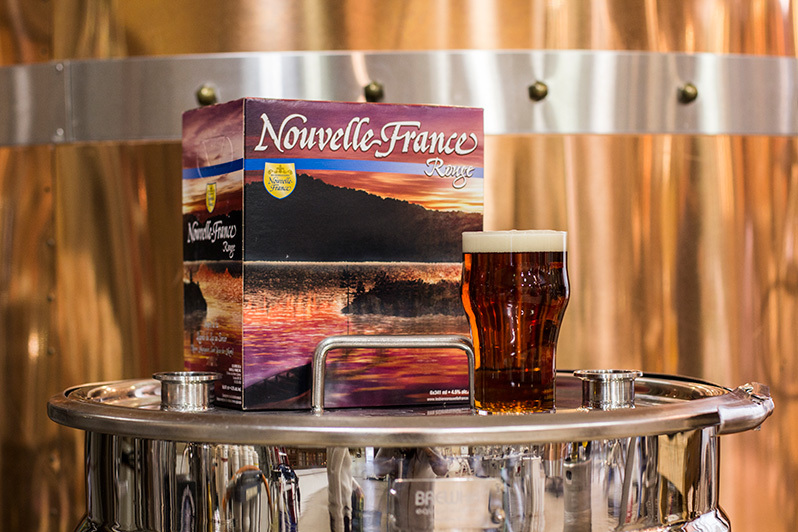 The Nouvelle France Rouge is a malted barley beer with a rich and unctuous taste with a touch of hazelnuts. Let yourself be seduced. Its hazelnut flavor will accompany perfectly a grilled sausage or a lightly smoked dish cooked in the BBQ.